Amik Italia has found a solution, an absolutely innovative product from a unique technology, able to reach by itself the highest sun protection factor avoiding the problems of traditional sunscreens. SunCat MTA is a pre-solubilized mixture of both liquid and powder chemical sunscreens, combined to reach the maximum spectrum of UVA+UVB protection. The blend is obtained by a highly technological process where the micronized sunscreen is entwrapped in a double-layered sphere W/O/W, with the outer sphere negatively charged in order to prevent the particles aggregation. SunCat MTA doesn’t need to be solubilized, it can be easily added to the formula at the end of the process, with low temperatures and with no need for other emulsifiers. 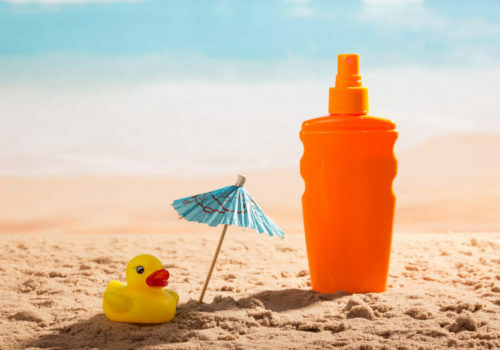 Replacing complicated, delicate combinations of different sunscreens with one product, stable and usable in low percentage compared to traditional sunscreens, it is easy to reach the required SPF obtaining not just a safer product, but also a nicer one. For a even higher efficacy, SunCat MTA can be used in a synergy with a specifically developed booster: Nestdry ST-2000, treated titanium dioxide “no-nano”. The sphere is the key factor of SunCat MTA: on the one side it protects the entwrapped chemical sunscreens, substaining them in their UV-protection function; on the other side it contains the sunscreens, phisically separating them from the skin so that they cannot penetrate. The sphere also prevents the sunscreens from reacting among them and with other actives in the formula, which eliminates many restrictions and gives the formulator a freedom that is otherwise unimaginable in the sun care world. Compatible with most of the ingredients commonly used in personal-care formulas, SunCat MTA is suitable for non-ionic, anionic and cationic emulsifying systems, W/O as well as O/W formulas, and even water solutions, including gel systems. As a finished product, the customer will get a less oily sun lotion compared to those on the market. A light product, that lets the skin breathe and is easy to rinse-off. Differently from those sunscreens that are “free” in the product, spheres distribute themselves in a homogeneous way, guaranteeing a uniform protection. For this reason, the product will turn out more efficient than the alternatives on the market. It will be no longer necessary to re-apply the lotion every two hours, because the sunscreens stays on the skin without being absorbed. And the chemical sunscreens being entwrapped in spheres, the product is suitable for sensitive skin, preventing irritations and allergic reactions.